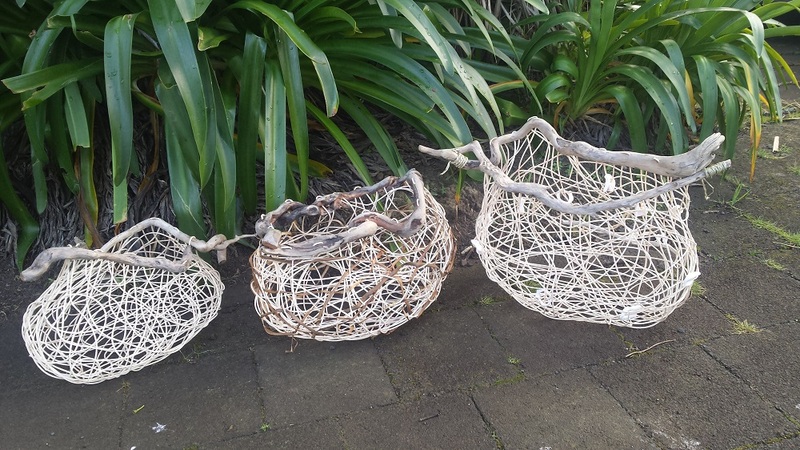 As well as learning to work with seagrass and cane, you'll learn how to gather natural materials, select specific materials for particular projects, use driftwood to create a rim, and to dye different materials. 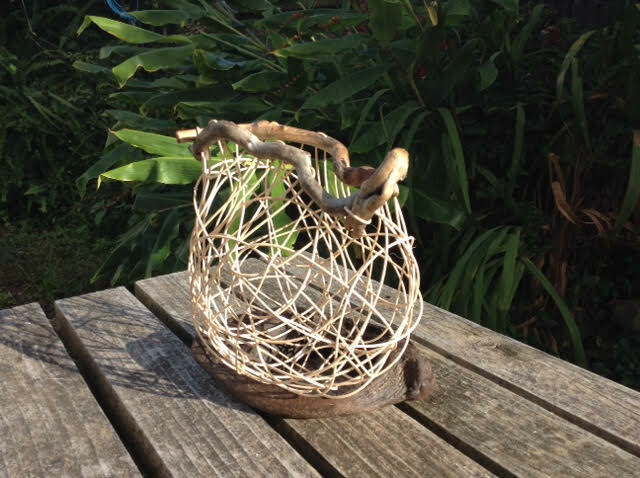 Nicola will show you how to create a cane structure and use random weave techniques with varied materials. This course runs over two full days. 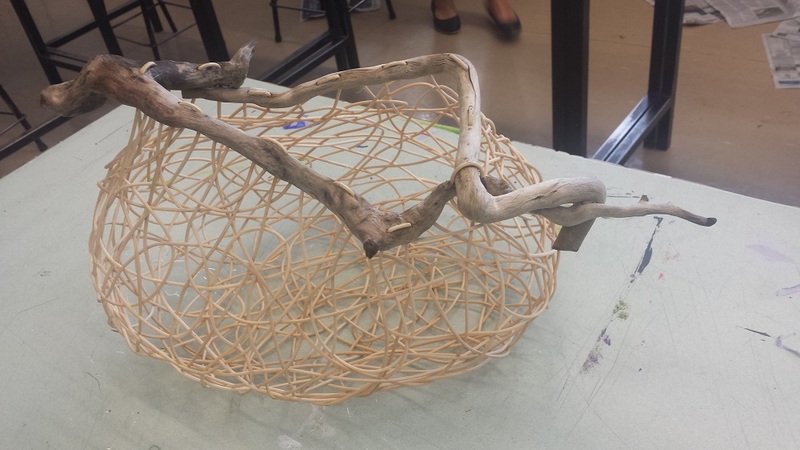 Each student will work to complete their own unique piece by the end of the workshop. You will learn the techniques for reproducing these beautiful artworks at home. 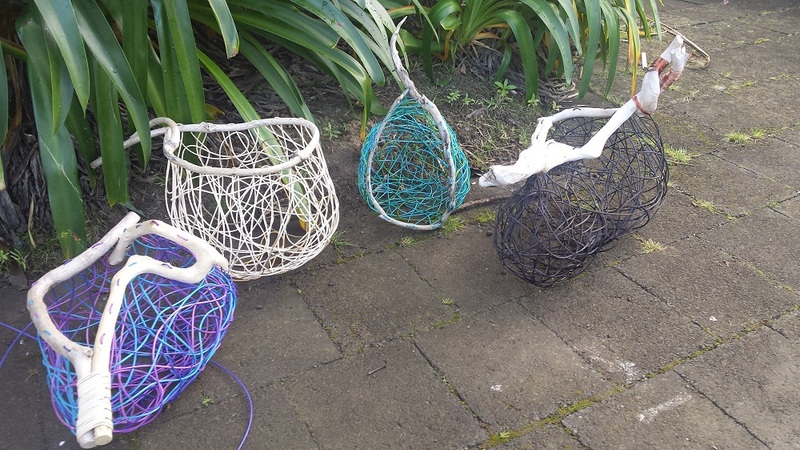 Those with an interest in weaving or handcrafts. Those seeking a new outlet for creative expression. No prior knowledge needed. 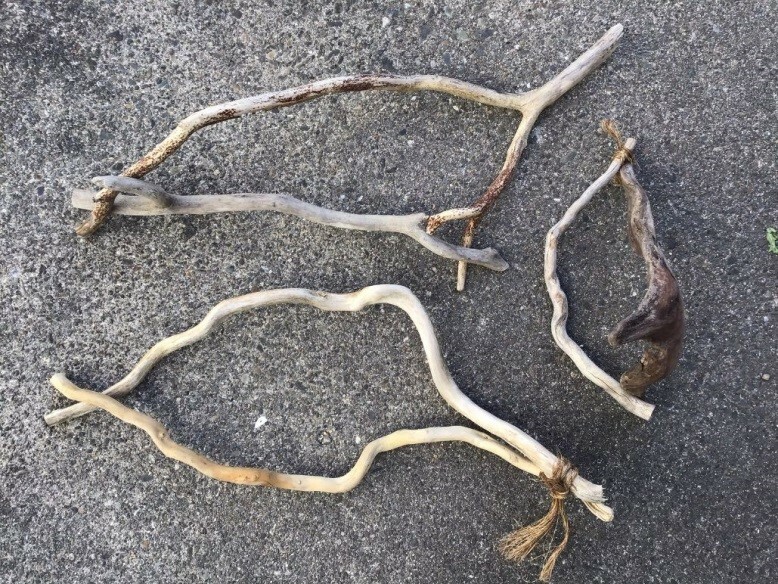 Cane, willow bark and driftwood will be provided. 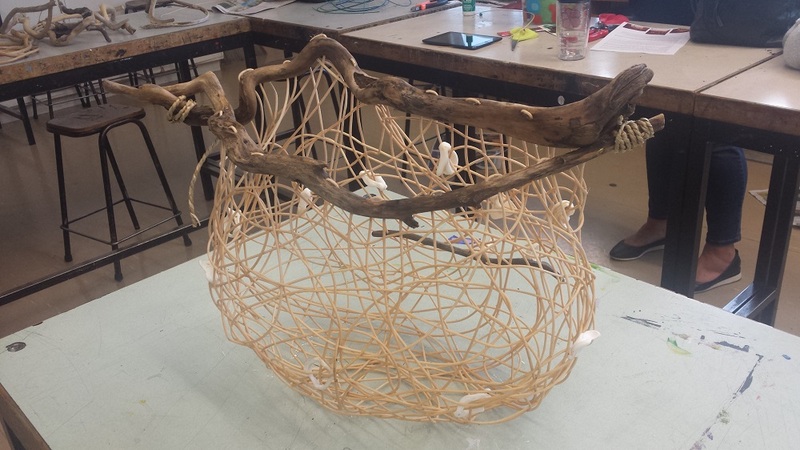 Students will need to bring some tools (eg secateurs, craft scissors, PVA glue and a small drill only if you have one) as well as any particular materials you may wish to incorporate into your piece. 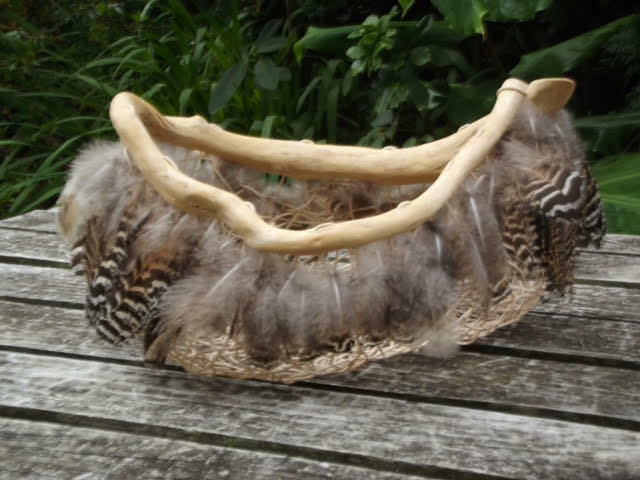 For example, you may have some pretty shells or feathers or beads you wish to use. Shells, stones etc should already have holes. Bring your lunch each day - the lunch break is a sociable part of the day where you have the opportunity to meet like-minded folks from the community. We'll provide tea and coffee. 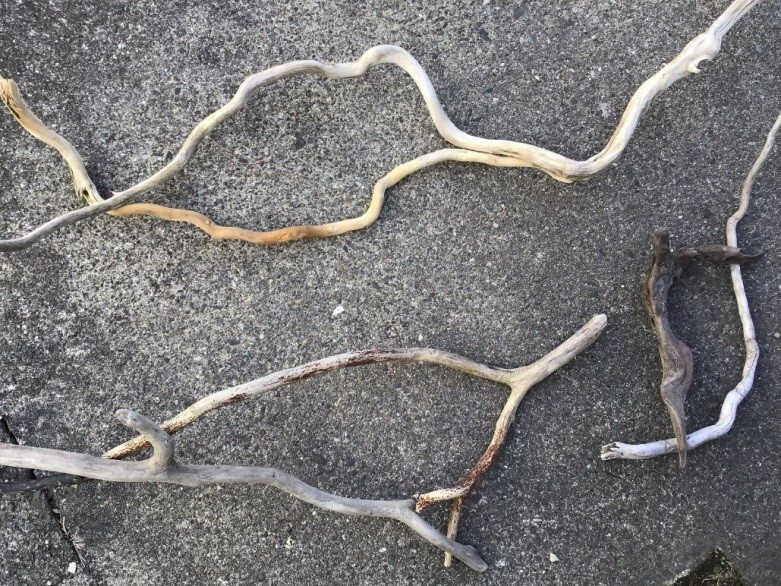 Please check the bottom of this page for instructions about driftwood. 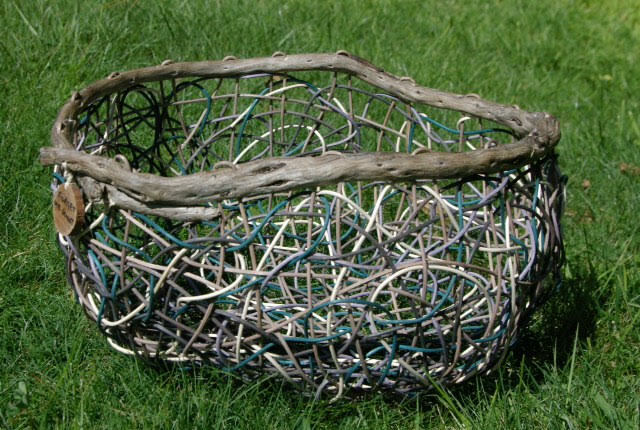 Needs to have a shape that will work to bring two or three pieces together to make a rim of a basket. Not too heavy and bulky. Not too thin as we are going to drill into the wood. The course exceeded my expectations. I never thought we would achieve what we did! Loved the materials we worked with and so good to have something to take home. Lovely teacher with the ability to make what we learned enjoyable and manageable. Loved this course – more people should do it!